The Special Representative of the UN Secretary-General (SRSG) for Somalia Michael Keating welcomed the overwhelming vote on Wednesday by the Federal Parliament that approved the cabinet appointed by Prime Minister Hassan Ali Khaire earlier this month. The newly installed 27 cabinet Ministers include six women, the largest number of female ministers ever to be named to a federal government cabinet. Mr. Keating said this represented another positive step towards empowering Somali women in the political affairs of their country. Twenty-four per cent of the seats in Somalia’s tenth parliament were occupied by women during the recently concluded electoral process. SRSG Keating also noted with approval the Federal Government’s blueprint spelled out by Prime Minister Khaire just prior to the parliamentary vote on the cabinet. In his remarks, the Prime Minister highlighted the need to eradicate poverty, build up Somalia’s security services in order to eliminate the scourge of terrorism, and expedite the constitutional review process that will lay the foundations for the holding of one-person, one-vote elections in 2020. The United Nations will work with Somalia’s international partners to support the government’s efforts to deliver tangible outcomes on these priorities. “The Parliamentary approval was a bright green light. The challenges ahead, including drought, insecurity and corruption, are enormous. The new cabinet contains a healthy mix of experienced leaders and relative newcomers to the political stage, ready to get into action,” said the SRSG. 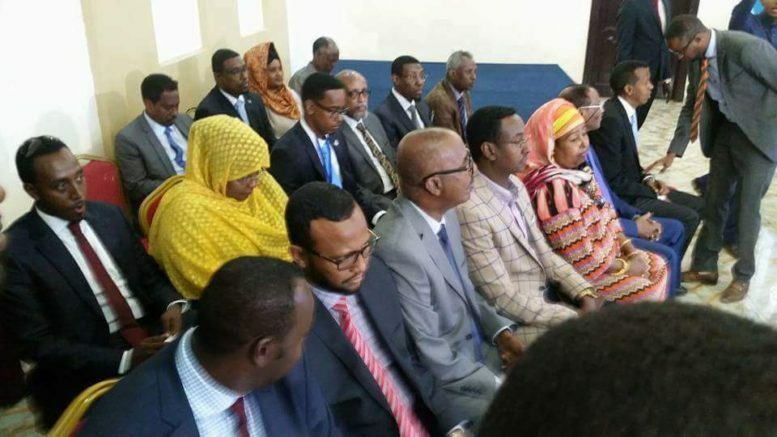 “They will make a vital contribution to the efforts of President Mohamed Abdullahi Farmaajo and Prime Minister Khaire to address the priorities of the new government.